Blog: Why PTFE Tubing is the Preferred Tubing Choice for Most Medical Device Manufacturers ? Medical device manufacturers are working on the device designs to enhance their performance levels. There are a wide number of trends in the medical device industry and manufacturers have to consider the same before releasing it in the market. One of the more common trends in medical device industry is amalgamating metals and plastic. Another trend is enabling “real-time” data while trying to reach a diagnostic solution. Medical device manufacturers keep themselves abreast of all the current market trends providing the best products to meet up to demanding healthcare standards. This is why PTFE Tubing is the preferred tubing choice for most medical device manufacturers. Medical device manufacturers are also restricted by rules and regulations enforced by the FDA. Medical devices are regulated under three categories such as I-III. Class III medical devices are put under the scanner the most. Medical device manufacturers usually worry about the effectiveness of their devices as they tend to be invasive. A medical device gone wrong can mean an end to a person’s life and medical device manufacturer can consequently face the consequences such as a lawsuit if the device fails in any respect.Product quality is a definitive marker for most medical device manufacturers. Medical device manufacturers must abide by certain rules and the top rule or criteria that they must adhere to is use the best components, the very reason that they stick to using PTFE tubing. PTFE a fluoropolymer, have been in use for ages. What is a fluoropolymer? It is, in fact, a polymer that has a number of fluorocarbons. You may be asking yourself why PTFE? There are a wide number of characteristics that make PTFE the much sought-after tubing. Firstly as, in the case with most fluoropolymers, PTFE has non-stick features and hence mostly used in cookware. PTFE does not react with most chemicals so manufacturers hardly do not worry about its adverse reactions with other chemicals. PTFE also boasts of an extremely low coefficient of friction among polymers. It also has a super high-temperature range of 500 degrees Fahrenheit, and it has impressive electrical properties as well. It has high resistance to UV radiation and does not get weathered easily. 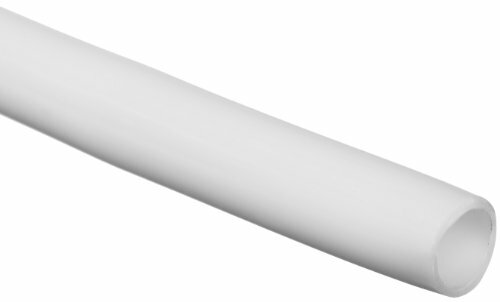 Medical device manufacturers use PTFE tubes and use it in a wide number of applications. Even electrical wiring manufacturers and automobile manufacturers make this fluoropolymer the tubing of choice.